SUMMARY: [Best iPhone Data Recovery Software 2018] Aiseesoft FoneLab for iOS can directly recover your lost and deleted data from your iPhone, iPad and iPod touch even without iTunes backup files. FoneLab for iOS is one of our 2018 best iPhone Data Recovery software nominees which can directly recover your lost and deleted data from iPhone X, iPhone 8/8 plus, iPad Pro 2 and iPod touch 7 with or without iTunes backup files. Also, it can help you retrieve your deleted photos and text messages even without computer backup. According to the company, you can retrieve your deleted iOS data with FoneLab for iOS even when your iPhone, iPad or iPod touch is accidentally crashed, smashed, broken or lost. 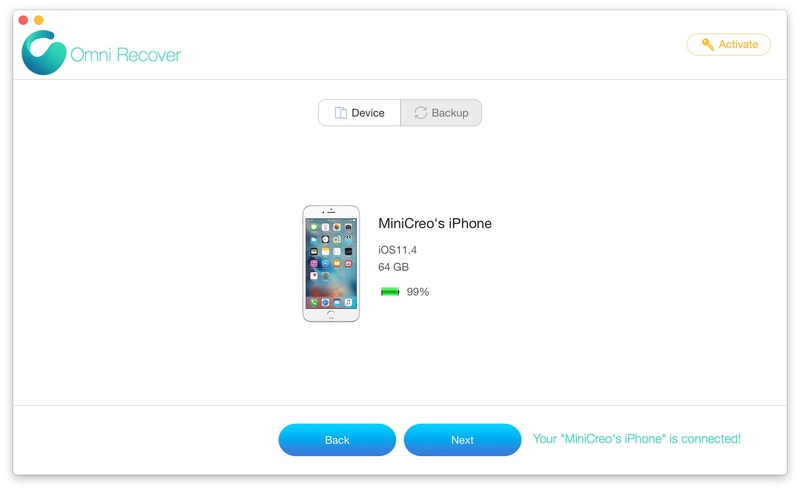 Besides, FoneLab for iOS can save your iOS device data lost due to jailbreak, iOS upgrade, etc. Read on this quick article to get FoneLab for iOS review, download, alternatives, free registration code and even more. iPhone data recovery software, such as Aiseesoft FoneLab, is generally built for daily iPhone users in mind. Human mistakes happen, photos get deleted, as so on. FoneLab for iOS does great work on retrieving your deleted iPhone content. Here are some frequently asked questions about how to download Aiseesoft FoneLab free, what's the advantages and disadvantages of Aiseesoft FoneLab and how to get it work quickly. Q: What're The Advantages of AiseeSoft FoneLab? A: Based on out test, AiseeSoft Fonelab for iOS excels at fixing iOS disasters on earlier version of Apple devices. We successfully repaired nine types of text content, such as, messages, call history, calendar, etc. and 10 types of media content, including your photo library, voicemail, message attachments and more. Q: What're The Disadvantages of AiseeSoft FoneLab? A: Apart from many good features, UI design works and iPhone data recovery capabilities, comparing with other candidates, AiseeSoft FoneLab has limited feature in unregistered version, like free trial before you buy option. Q: Are there any AiseeSoft FoneLab alternatives I shall try? A: Yes, you have many AiseeSoft FoneLab Alternative options that also work great. 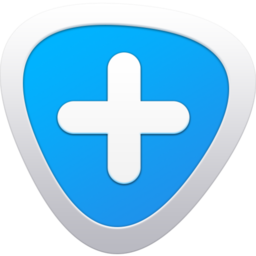 Omni Recover 2 is well-received and best-recommended AiseeSoft FoneLab Alternative for macOS. Availability: FoneLab for iOS Mac download is free available on AiseeSoft.com and other public hosting sites. FoneLab for iOS requirement for your Mac computer is very basic. If your Mac OS X is 10.8 or later, you can feel free download it on your Mac. How Does It Work: Using FoneLab for iOS to recover deleted iPhone data is quite simple: Connect your iPhone, iPad or iPod touch to your computer or browse your iTunes backup files to start > create or scan your backup > find the data/file you'd like to recover with FoneLab for iOS and click Export to get them back. That's it. FoneLab Free Registration Code: If you don't want to pay for FoneLab and need a Registration Code for free, you can either wait for FoneLab's official giveaway promotion or find one on crack/pirate sites. We strongly encourage you to purchase a legal FoneLab Registration Code for the safety of your computer and data. If you need a cheaper FoneLab Alternative, Omni Recover 2 is probably your best choice. If you've read FoneLab for iOS reviews on Amazon, probably you'll lose confidence in this iPhone Data Recovery tool. 72% 1 star (poor quality/services) is definitely not your option. So either you want a trust-worth FoneLab for iOS alternative, or you need more features to recover your deleted iPhone/iPad content, you can have a try with Omni Recover 2. Below are the detailed comparisons that may help you choose. Capable of retrieving iPhone photos, messages, contacts and probably all your iOS data. Recover deleted photos and messages even without computer backup. [Exclusive] Based on the unique iOS Data Recovery algorithm (developed since 2013), which ensures #1 Success Rate in industry. [Exclusive] Featuring unique recovery method allows to create stand alone backup without overwriting existing ones. List price at $79.95 on Amazon. No preview otption before recovering. Method of showing deleted iOS content is initially unclear. Now have you get complete understanding about what is AiseeSoft Fonelab, how does users say about AiseeSoft Fonelab, and how to download AiseeSoft Fonelab for free? 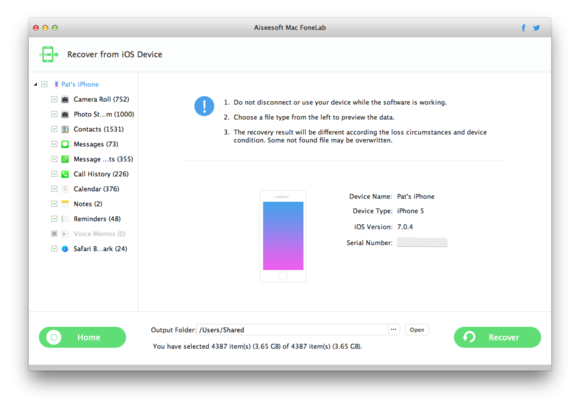 If you need a pro-level iPhone Data Recovery Software to rescue your lost iOS data, get Omni Recover 2, the perfect AiseeSoft Fonelab alternative and start now to download.